Limited edition of 500 signed and numbered copies. 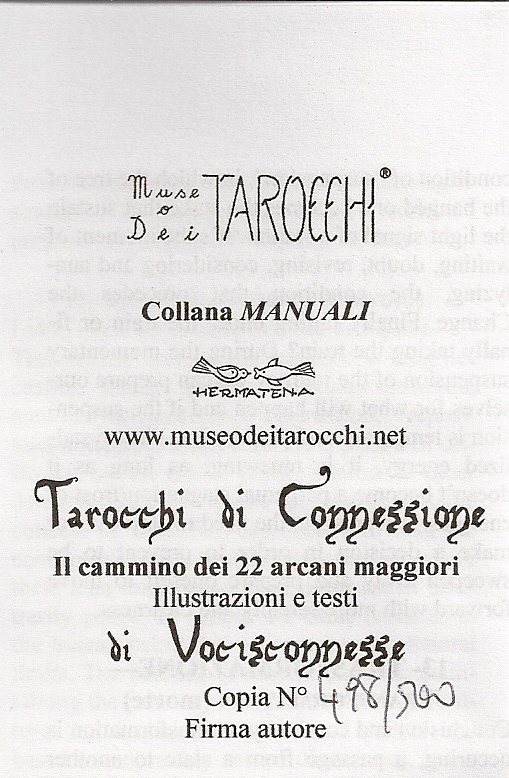 Many of the cards, which are numbered and titled both in Italian and English are renamed. 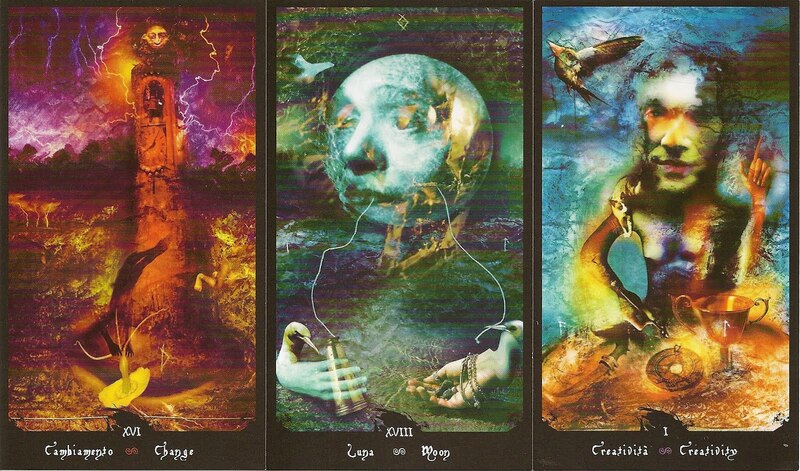 Thus the Empress becomes Re-generating, the Emperor - Cultivating, the Chariot is renamed Direction, Judgment is Conscience and so on. 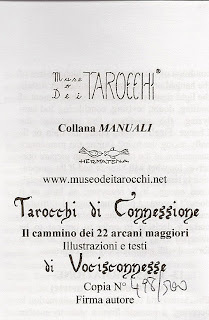 “Tarocchi di connessione” means “connection tarot” and emphasize the idea of “connecting” figures, symbols, meanings, events, thoughts, memories…that is inside TAROT, and also a peculiarity of visual language through images/pictures: putting together images and figures forming properly created to form a system of interactive meanings. This is a personal interpretation of the 22 Major Arcana, with dreamy, symbolic, surreal, pagan, magical, mythical influences.